The decision to admit Morocco as a member of the Economic Community of West African States is a contentious issue. 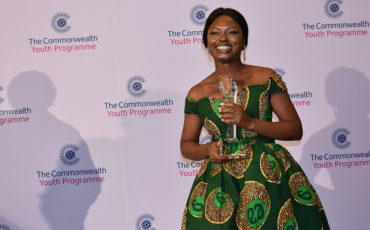 Bryan Obaji, 27, a Commonwealth Correspondent from Calabar in Nigeria, writes about its possible advantages and disadvantages. For individuals, organisations or states, the goal of having a functional union is based on the idea of having a common, powerful voice to strengthen themselves in the face of change or uncertainty. Trade unions are a typical example of union activities seen in most countries. These organizations typically work to advance the welfare of their members, ranging from improved salary and wages, to working conditions, and labour rights. The Economic Community of West African States (ECOWAS), established on 28 may 1975 and tasked with creating economic integration across the region of West Africa. This regional and influential body is comprised of fifteen member states including Nigeria, Ghana, Niger, Togo, Mali, Sierra Leone, Benin, Burkina Faso, Cape Verde, Gambia, Guinea, Guinea-Bissau, Liberia, Senegal and Ivory Coast. The goal of this powerful regional bloc is to ensure that member states build a collective trading bloc. Since its founding, however, the body has shown a commitment to carefully handle internal crisis affecting member states. Between 2003 and 2017, for example, ECOWAS, through its peacekeeping force, has successfully intervened in crises that have affected five of its member states. The association allows free entry to citizens of member states without the requirement of visas. As well, there is discussion about developing a single currency that will be used by member states. With the achievements and rising profile of this regional bloc, many are uncertain about the desire – and intention – of the Moroccan government to seek admission into ECOWAS. On the lips of members are questions such as: on what basis should they be admitted into the ECOWAS? Is their intention one that will create a divide in the growing popularity of the West Africa bloc just to strengthen other unions? Morocco’s inclusion in ECOWAS will advance the founding principle of the community, which was set up to promote economic integration across the region. Many are uncertain, however, whether Morocco’s inclusion might bring about divided loyalty given that they are members of the Arab League and the Arab Maghreb Union. The advantages of including the North African country in ECOWAS may be beneficial, but does it outshine the loses of excluding it in the formidable West African union? No doubt there are advantages for both parties. Upon King Mohammed VI’s first ever visit, last December, to Nigeria – an influential member of the bloc – produced an agreement to build a trans-Africa gas pipeline that will run along the coast of West Africa from Nigeria to Morocco, with the potential to supply gas to Europe directly. The North Africans also plan to establish a plant in Nigeria that will produce fertilizer and supply to West Africa. Much of the resources for these projects will come from Morocco. But there is no doubt that the West African sub-region will be the biggest winners in the end. But while admitting Morocco into ECOWAS may be beneficial from an economic perspective, there may be disputes with the North Africans relating to their national politics, especially vis à vis the Western Sahara and Israel. Morocco regards Western Sahara as part of its historic territory. A number of ECOWAS countries, including Niger and Senegal, however, see it as an independent nation. Disputes over the territory led to North African nations leaving the African Union (AU) in 1984, after the bloc recognized the independence of Western Sahara. Morocco only rejoined the AU in January, and the issue still lingers. Then, there is Israel. Certainly, an important economic partner of ECOWAS, but a country with which Morocco holds no diplomatic ties. In fact, relations are so bad that King Mohammed VI refused to attend the summit that approved Morocco’s own application to join ECOWAS because Israel’s Prime Minister Benjamin Netanyahu had been invited. Yet, ECOWAS, which Morocco is part of, will benefit from a one billion dollar Israeli investment to advance green energy power projects across 15 ECOWAS member states over the next four years. Admitting Morocco into ECOWAS will allow it to enjoy intra-regional travel freedom among a host of other important benefits. But, what truly could be the motive behind admitting a country that sits clearly in north of the continent into a West African body? Is this just about the investments Morocco is bringing into the region? Or could it be aimed at reducing the influence some countries have had in the bloc over the years? Or it a matter of taking advantage of the fact that the projected rise of Morocco’s economy to the second largest after Nigeria could boost the GDP of ECOWAS? The decision makers must look closely at the pros and cons to be sure if this marriage is to be or not to be.